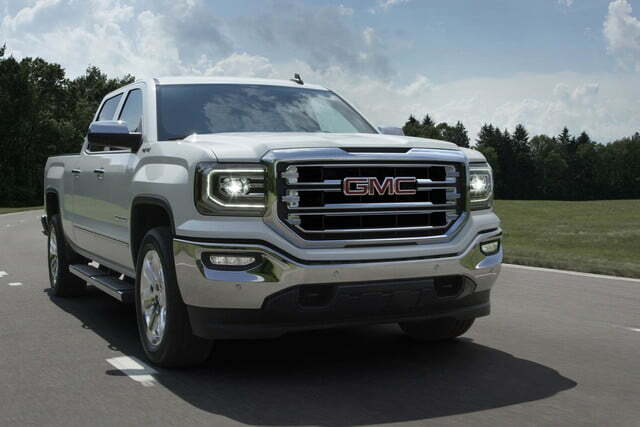 Following its Chevrolet Silverado sibling, the 2016 GMC Sierra gets an update as General Motors tries to keep its trucks fresh in the face of ever-escalating competition. As with the Chevy, the changes are mostly cosmetic. 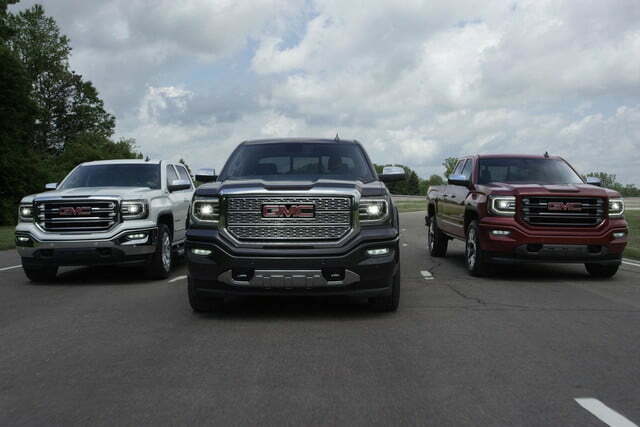 The 2016 Sierra gets a more stylized version of the existing model’s blocky exterior, with C-shaped LED daytime running lights and taillights, LED headlights and fog lamps, new bumpers, and a new grille that looks like it was forged in a very large waffle iron. 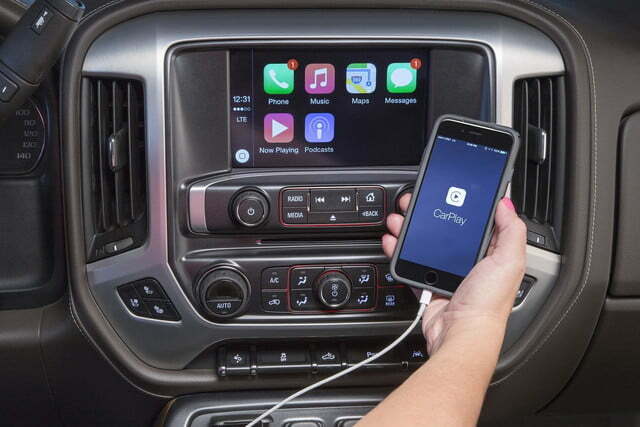 GMC is keeping quiet on other changes for now, but we know that Apple CarPlay will be added to the Sierra for 2016. 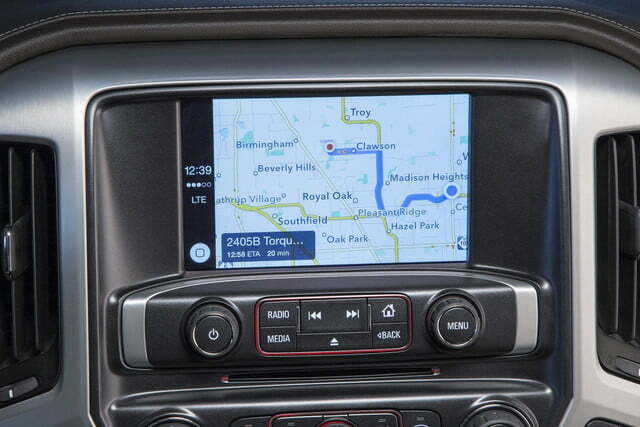 The smartphone connectivity feature is expected to be available at launch, and the Sierra will also be the first GMC model to get Google’s Android Auto competitor. Powertrain options will most likely remain unchanged, and will continue to mirror those of the Silverado. That means base-model Sierras will still use a 4.3-liter V6 with 285 horsepower and 305 pound-feet of torque. The mid-range option is a 5.3-liter V8 producing 385 hp and 383 lb-ft, while the biggest gun is a 6.2-liter V8, good for 420 hp and 460 lb-ft. Currently, the V6 and the smaller V8 use a six-speed automatic transmission, while the 6.2-liter V8 gets an eight-speed auto. 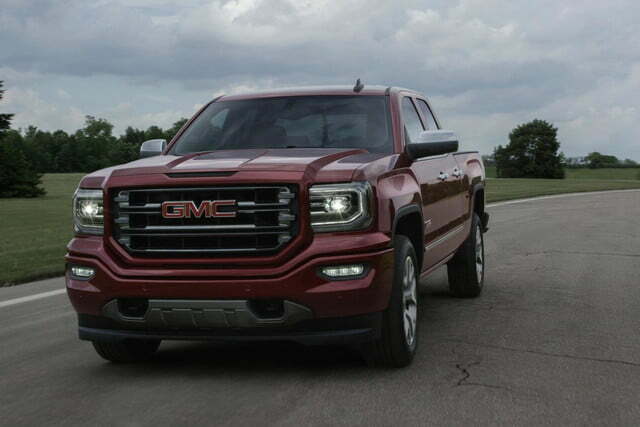 Chevy said it plans to expand use of the eight-speed automatic in the Silverado, so it’s possible GMC will do the same in the Sierra. 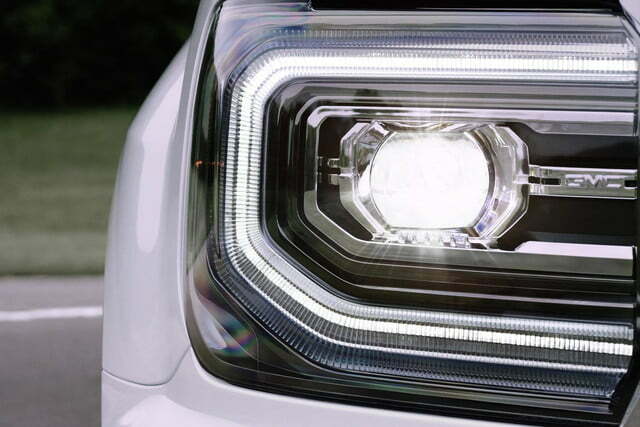 Naturally, buyers will get to choose between rear-wheel drive and four-wheel drive. 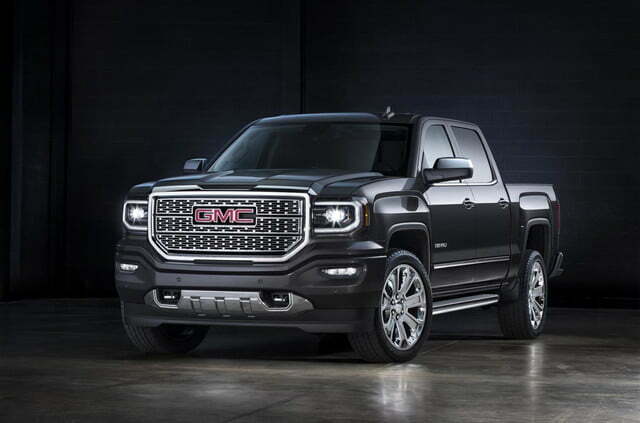 In addition to model-specific styling, the Sierra will once again be distinguished from its Chevy twin by the availability of a more luxurious Denali model. 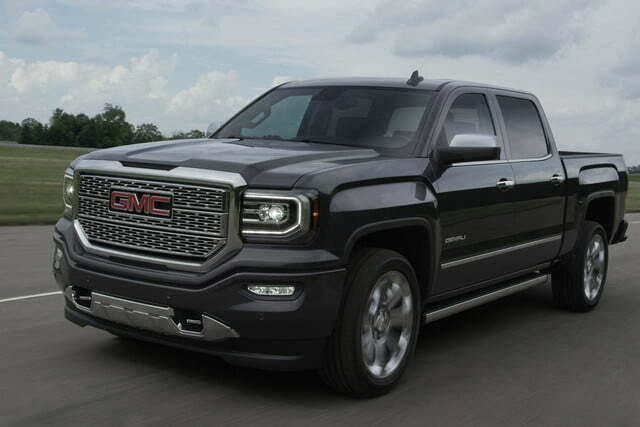 The Denali gets extra exterior brightwork and a fancier interior, which will hopefully be enough to keep GM from building a Cadillac pickup truck. 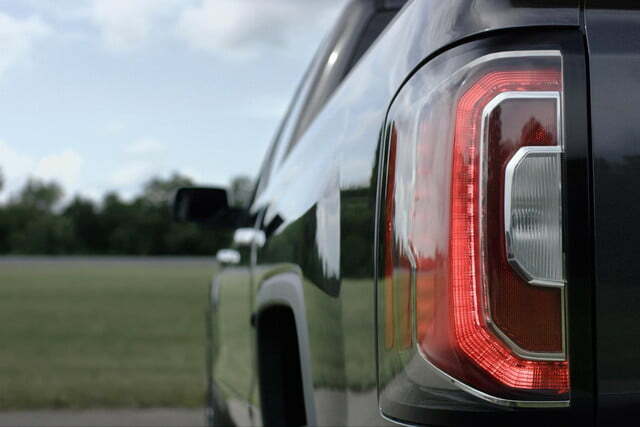 The 2016 GMC Sierra goes on sale in the fourth quarter of 2015. More details on the updated model will be released closer to that date.